When Miss Seeton walks out after a performance of Carmen and witnesses a real-life stabbing, all she can recall is a shadowy figure. But how could she have guessed that her latest artistic endeavor is a picture-perfect portrait of the killer? Her sketch puts her in a perilous position, for back at her recently inherited cottage in Plummergen village, she’s fated to be a sitting duck …for murder most foul! Meet Miss Emily D. Seeton: retired art teacher Miss Seeton steps in where Scotland Yard stumbles. Armed with only her sketch pad and umbrella, she is every inch an eccentric English spinster and the most lovable and unlikely master of detection. 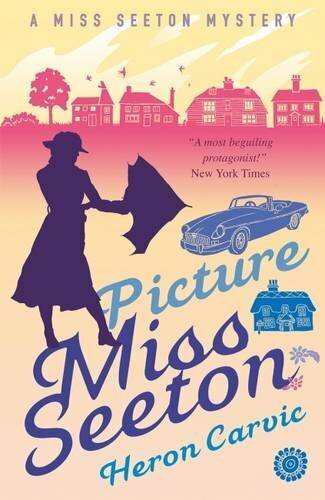 I enjoy cozy mystery books and this book, Picture Miss Seeton is just that. It was an interesting mystery the kept my attention without all the graphic and gory details. I can’t wait to read the other books in the Miss Seeton series.